Father’s Day is right around the corner. I’m lucky in the fact that I have a dad that I’m proud of. When you see me, there is no doubt that I’m his daughter. I love my dad for who he is, but there are a few specific reasons why I love him even more. Growing up, you were the bread winner and the provider. To this day, you still ensure my mom is taken care of in every way possible. When I was a kid, I always knew you to provide for our family. It’s ingrained in your blood, it’s just what you do. I’m just like you dad, there were some days, growing up, that we couldn’t stand to be around each other. However, I wouldn’t have it any other way. We drive each other crazy, but at the end of the day, we’re family. I thought I knew it all, dad, but really, I was just being a teenager. 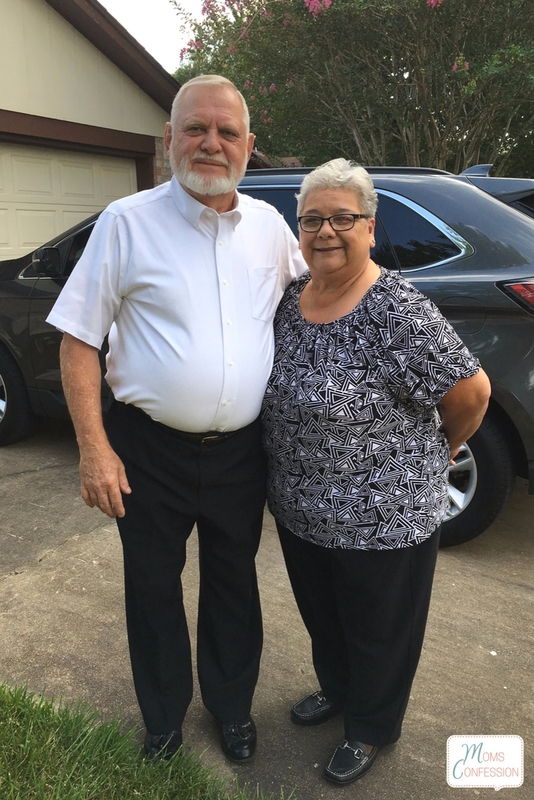 My dad is still the rock that holds this family together. My dad is everything I hope my sons will grow up to be. My dad is loving in every way possible. Whatever you need, he will help with it. He doesn’t even think twice about it. What I love most about my dad is he always has a joke to tell. He’s hilarious and he’s not afraid to tell us a story, even some of the ones he should probably keep to himself. It’s safe to say that my dad has been and always will be my rock. He gives and gives and never expects anything back. However, he’s my dad and I want him to know how much I appreciate him. This Father’s Day, things are going to be a little different. 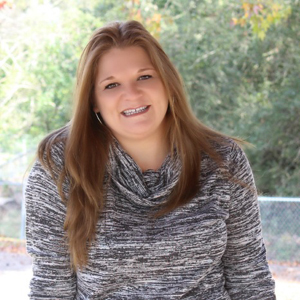 I thought about what I could do to show him that I love him, so it’s time to give back in a simple, yet fun way. This year, I’m celebrating my dad, but with his favorite thing ever. Can you guess what it is? BACON! 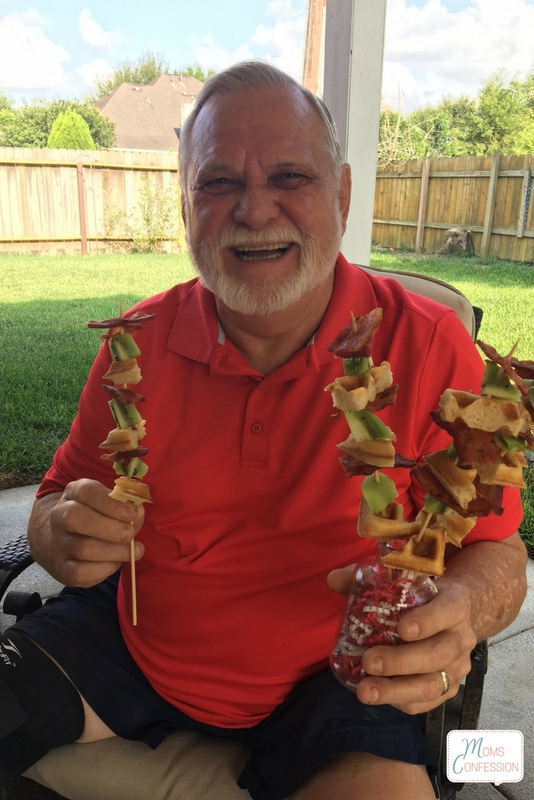 I’m making him Grilled Bacon Skewers, which is one of his favorite dishes. This will be served alongside a traditional breakfast. I know this is going to rock his dad socks off, no doubt. I’m not just using any bacon for my dad’s breakfast. I’m using the BEST bacon there is. Wright® Brand Bacon is the holy grail of bacon available at HEB locations across the state of Texas. 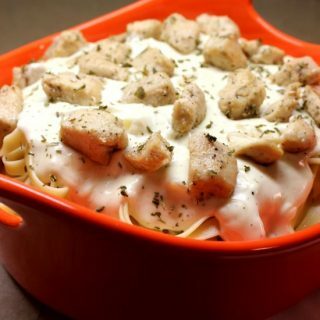 For even more recipe inspiration and an offer for a free product head over to their website here. My dad will love his breakfast because he loves eating something hearty with quality protein to get his days started off right. I want my dad to have the richer bacon experience. 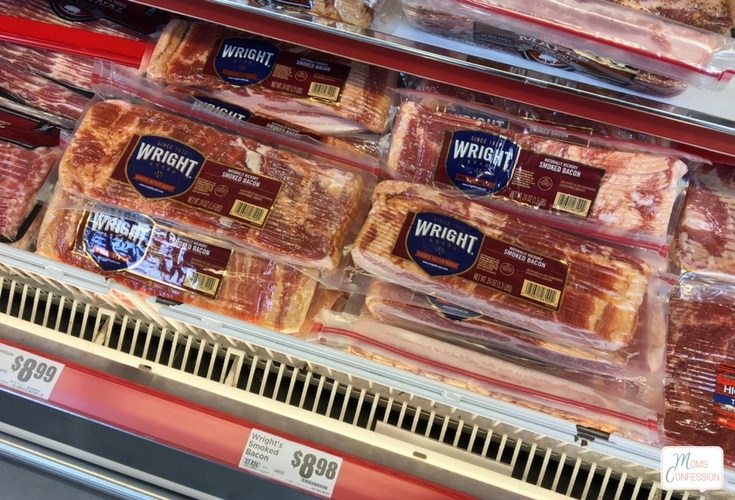 Wright Brand Bacon is special because it’s naturally smoked, trimmed by hand, and finished to perfection. Texans, behold, your breakfast is about to get better. 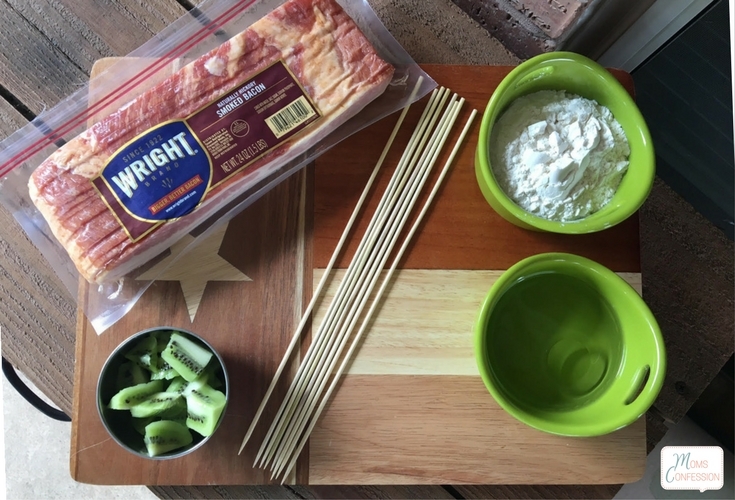 If you live in Texas (or don’t) you’re going to love the Texas heritage that Wright Brand Bacon has. It’s made in Texas, Texas proud, and it’s family approved. 1. Preheat outdoor or indoor grill and waffle maker. 2. While the grill and waffle maker are preheating, mix complete pancake mix, water, and oil together in a medium bowl. 3. Once the waffle maker is preheated, spray the waffle iron with cooking spray then pour batter into the mold and close. 4. 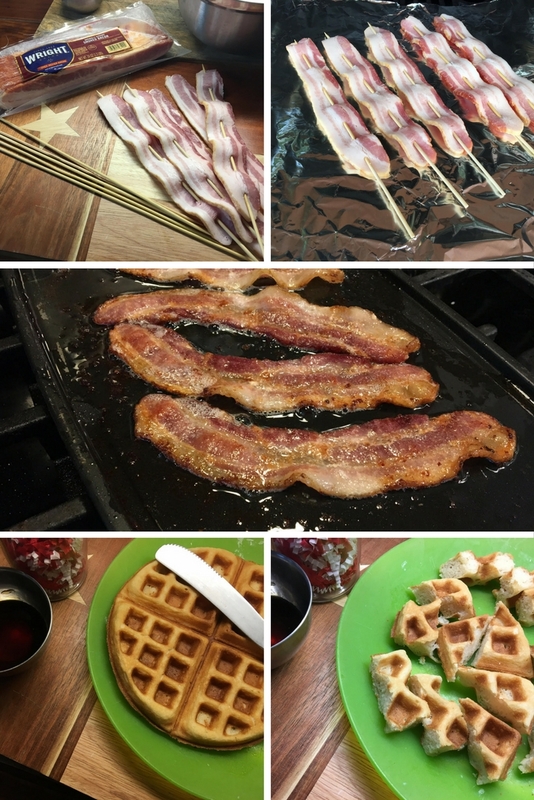 While the waffle is cooking, place the bacon on the grill and cook it until it is done. If you decide to grill the bacon on your outdoor grill, place aluminum foil on the grate. 5. 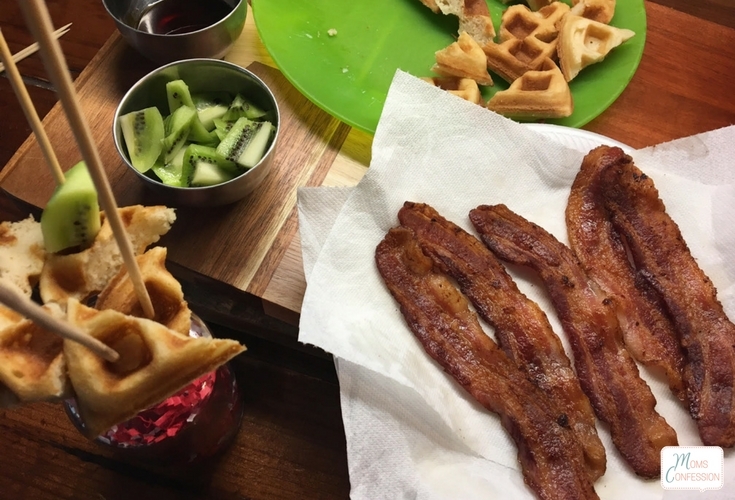 While the bacon is grilling, the waffle should be completely cooked. Remove it from the waffle maker and place it on a plate to cool. 6. While the bacon continues to cook, cut the kiwi fruit down the center and trim away the peel and cut it into chunks. 7. Next mix the syrup drizzle ingredients together and set aside. 8. Once the waffle is cooled, cut it into decent sized chunks. 9. At this point, the bacon should be fully cooked, remove it from the heat and place it on a plate with paper towels to cool. 10. Once the bacon has cooled, cut the bacon into thirds. 11. 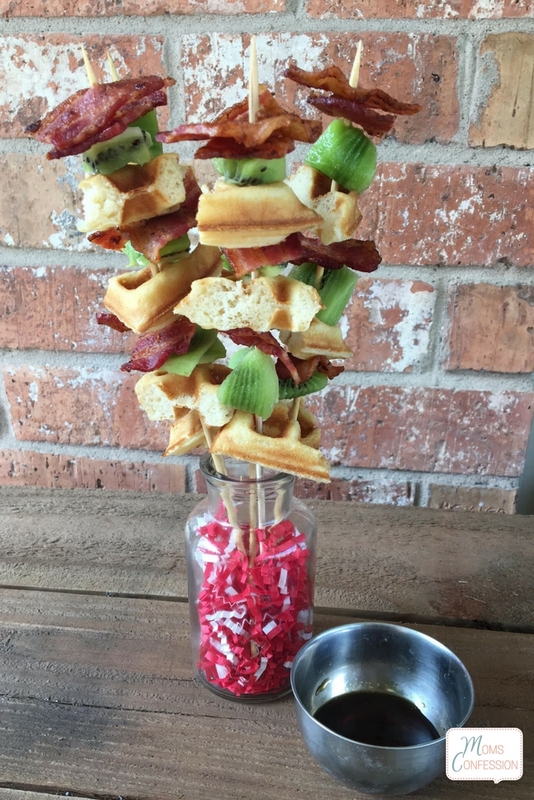 To assemble the grilled bacon skewers, place a piece of the waffle on the skewer. 12. Next, add a chunk of the kiwi fruit. 13. Then add a piece of bacon. 14. Repeat this process until you have filled your wooden skewers and finish the off with a piece of the bacon. Get the printable version of our Grilled Bacon Skewers Recipe below. Preheat outdoor or indoor grill and waffle maker. While the grill and waffle maker are preheating, mix complete pancake mix, water and oil together in a medium bowl. Once the waffle maker is preheated, spray the waffle iron with cooking spray then pour batter into the mold and close. While the waffle is cooking, place the bacon on the grill and cook it until it is done. If you decide to grill the bacon on your outdoor grill, place aluminum foil on the grate. While the bacon is grilling, the waffle should be completely cooked. Remove it from the waffle maker and place it on a plate to cool. While the bacon continues to cook, cut the kiwi fruit down the center and trim away the peel and cut it into chunks. Next mix the syrup drizzle ingredients together and set aside. Once the waffle is cooled, cut it into decent sized chunks. At this point the bacon should be fully cooked, remove it from the heat and place it on a plate with paper towels to cool. Once the bacon has cooled, cut the bacon into thirds. 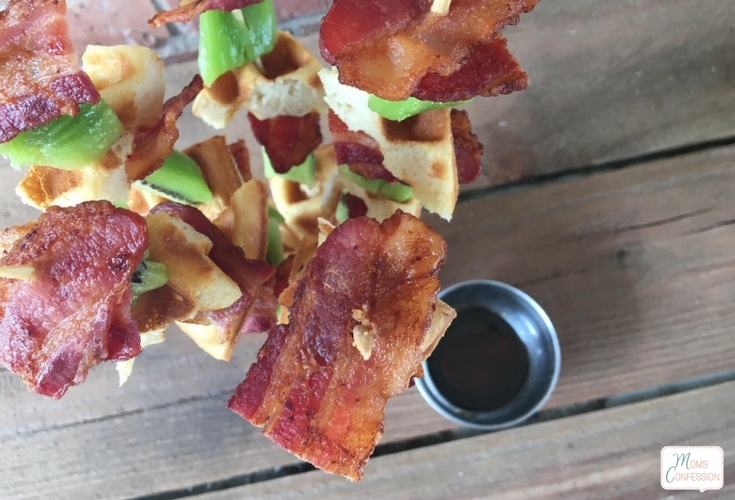 To assemble the grilled bacon skewers, place a piece of the waffle on the skewer. Next add a chunk of the kiwi fruit. Then add a piece of bacon. Repeat this process until you have filled your wooden skewers and finish the off with a piece of the bacon. What a great idea! I love these skewers! My dad was my rock, too. I miss him terribly!